After completing his neurosurgical training at Johns Hopkins University, Columbia University and the University of Utah, Dr. Anderson's focus has been exclusively on the care of children. Practicing at one of the top children's hospitals in the country, children receive the best possible care from a multidisciplinary team of dedicated pediatric specialists. 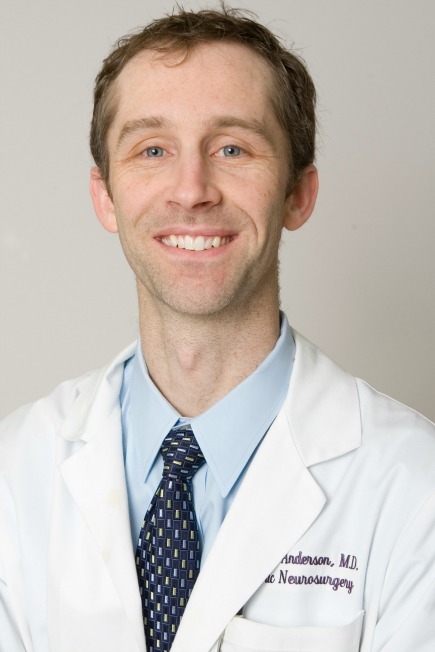 While practicing a broad range of pediatric neurosurgery, Dr. Anderson's research interests in the immunology of pediatric brain tumors and biomechanics of the pediatric spine mirror his extensive clinical training in pediatric brain tumors and spinal disorders. For family convenience, Dr. Anderson sees patients in multiple office locations including Manhattan, NY; Ridgewood, NJ; Paterson, NJ; and Stamford, CT.
Special Interests include pediatric spinal instrumentation ( congenital malformations, trauma and deformity), pediatric spasticity (rhizotomy and Baclofen pumps), brain tumors, and neuroendoscopy.